Oil has been known and used since ancient times and has been mentioned by most historians since the time of Herodotus (5th Century BC). At that time it was used chiefly as a liniment or medicine, not as a fuel. Oil flows from natural springs in many localities. It was obtained from such springs in what is now Western Pennsylvania by the Seneca Indians, who used it for medicinal purposes. The first oil well was drilled in that region by Edwin Drake in 1859. The well was 21 metres deep and produced 15 barrels a day. 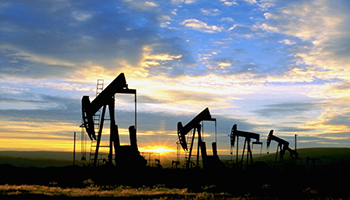 The area quickly boomed and the modern oil industry was born. Later Texas and Oklahoma became the centers of US production. Following World War II the Middle East became a major supplier for US use as well. As a fuel, oil was originally used as kerosene for lighting, replacing animal, vegetable and coal oils. It also came to be used in furnaces. Its biggest use, however, came with the development of the automobile. In 1935 Nylon was invented and made with oil. Today almost all forms of locomotion - cars, trucks, buses, trains, ships and airplanes -are fueled by oil, diesel or gasoline. Fuel oil has also been burned to produce electricity, although that has always been mostly coal's job.